Think American luxury sedans and chances are good that Cadillac comes to mind. More than just another full-size luxury machine, the 2018 CT6 can now be equipped with Cadillac’s Super Cruise semi-autonomous driver control, that can take you down a road not experienced by many. Cadillac’s Super Cruise uses multiple cameras and sensors that work in tandem to help keep the car traveling in the highway lane you put it in, alerting the driver and releasing control when it “sees” something that can get you in trouble. 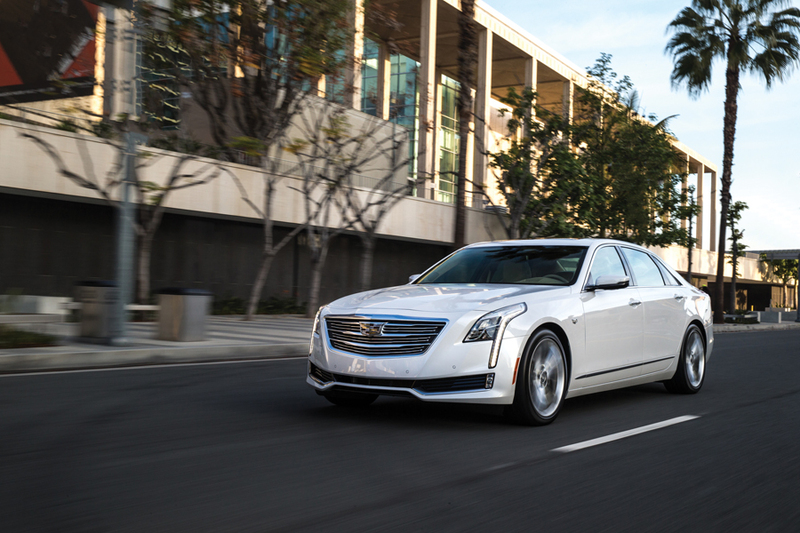 No, it’s not completely autonomous, yet, but it’s easy to see where Cadillac is heading. The body of the CT6 is ultra-modern up front with sharp-cornered lighting that bookend’s the large Caddy emblem center grille. The rear fascia is ultra conservative. Somehow, it works. Motivating this beauty is an optional 3.0-liter twin-turbocharged V-6 that delivers 404-horsepower to all four wheels. A turbo-4 is standard. The conservatively designed interior is cutting edge with a large, easy-to-use infotainment screen. All of Cadillac’s latest and greatest techno is there too. Materials and workmanship are top notch. Pricing starts $54,095. Our loaded CT6 with Premium trim was a touch over $100,000. You are either a lover or hater of the Lexus “spindle” grills. Either way, it certainly makes a statement, and so goes the LS grille. The Lexus LS is the brand’s full-size model and we think it’s a beauty, particularly the interior. And really, isn’t that what matters most? This Lexus comes with sumptuous, perforated leather seating with reclining and massaging functions in back along with real wood trim and the optional 23-speaker Mark Levinson sound system. The dash is very different with many shapes and forms coming together in a museum quality work of art. There’s even a backlit piece of eye candy for the front passenger to enjoy. If there is a drawback it would be the finger touch control pad for the infotainment screen. We could make-do though. Lexus no longer offers a V-8 engine in the LS. Instead, you’ll get the naturally aspirated V-6 or the hybrid that whispers 354 horsepower through a continuously variable transmission to the rear wheels. All-wheel drive is available. The ride is what you’d expect, like a cloud and worthy of at least 10-hours behind the wheel or as a lucky passenger.